100% Digital - DOWNLOADED to your computer or tablet, SAVED, and then the SAVED COPY is filled out electronically on your device. All necessary forms (including a scanned copy of your coggins) are attached to an email to the Ride Secretary for submission. Payment via PayPal or credit card when the digital option is used. Typed names are acceptable on all "Signature required" lines when using the digital form. Paper Only - printed, filled out by hand, signed, and mailed in with check or credit card number. If you want to fill in the form using your computer, just download the digital form, follow instructions on how to fill it out, then print and mail it in. PLEASE NOTE: Our digital entry is developed by us and everything is kept "in house" - there is NO third party collecting YOUR information for us. Because we design, collect, and process all our entries ourselves, your data is SAFE. It goes no further than our Ride Secretary and our Treasurer. Just letting you know! ALSO: if you have a dinosaur for a computer (any Operating System prior to Windows 7) your system may not allow you to save the completed form. In that case, simply print it out, and then scan it back into your computer (or take a clear digital photo of the completed form on your tablet or phone) and attach that scanned/photographed image to your email. PLEASE be sure to scan/photo ALL three pages of the entry form. Click on appropriate link below to download the Information sheets and the Entry forms (digital or print). Entry form is 3 pages - all pages MUST be filled out. CLICK on entry form desired. This will automatically DOWNLOAD the form. OPEN the form to ensure your system is compliant. ATTACH the saved completed copy to an email to the Ride Secretary, add a scanned copy of your Coggins, and your PayPal verification page (if you paid by PayPal). PRINT the form on your printer. MAIL form, check, and Coggins to Ride Secretary at the address given on the entry. PLEASE NOTE: ALL equine entries in all our rides, without exception, are to be wearing four shoes, or an equivalent hoof protection (which include boots or glue-ons) at the start of the ride. The mountain trails on which our endurance competition takes place can be exceptionally difficult to strap-on boots, so we strongly suggest you might want to consider gluing any boots on. All competitors and their crews are advised to please review the most current AERC Rules (found on the aerc.org website), especially if competing for the 1st time. 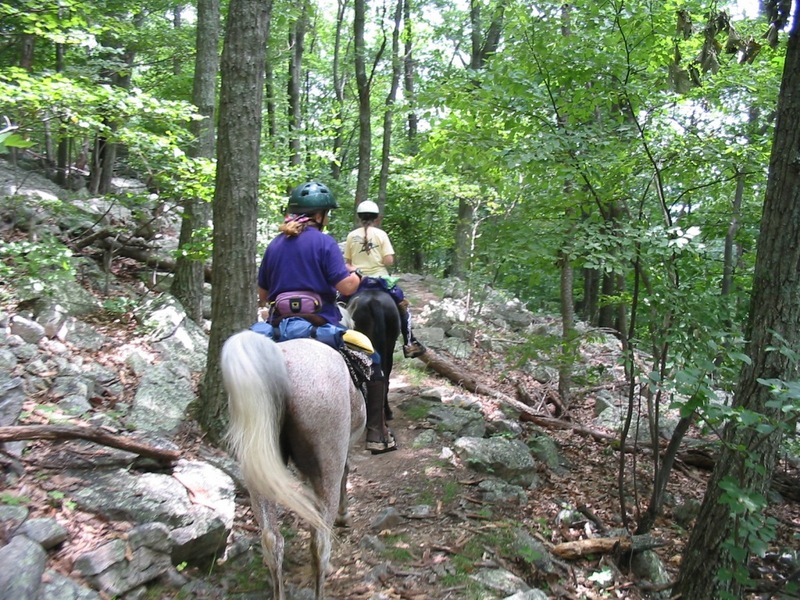 Old Dominion Equestrian Endurance Organizatio rides and events are privately held and are open only to registered participants and their guests, ride/event management, volunteers, and staff.